On the last day of the year of the Dragon – again this year was busy as we rowed through the seasons… Hoping these efforts will produce a nice calm peace in the near future. After a pair of Dragon and Tiger, next one is the Dragon and Lion on both sides of the Queen. 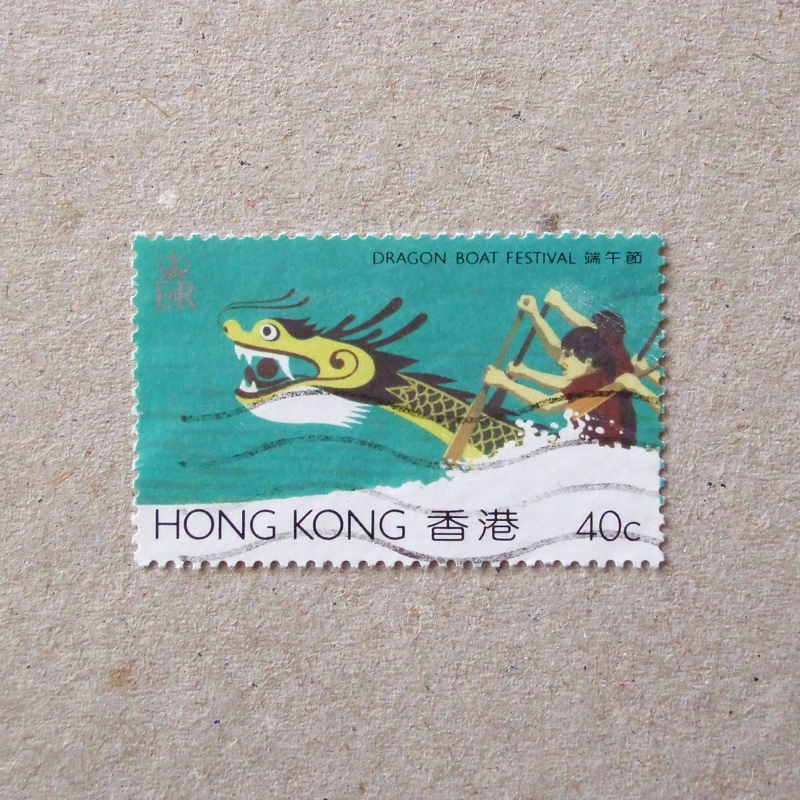 It is obvious that the lion with a crown is the sovereign Britain and the dragon is the symbol of Hong Kong. Their paws are wide open and eyes are slanted upward – they seem not to be in a peaceful relationship at all. 15 years to go for the transfer of sovereignty over Hong Kong. Brave postal officers. Sharrrrrrr.